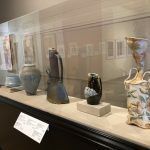 As some all already know, the Leepa-Rattner Museum is located at the Tarpon Springs campus. 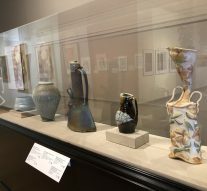 There are many vibrant works of art that are collected and shown off here at the museum. 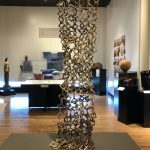 I’m not normally the person that goes out and admires art all the time, but when I say that the work that was on display at the Leepa-Rattner Museum was truly eye opening and intriguing, I really mean it! There is a vast variety of paintings and sculptures, each with their own meanings. Telling stories that the artists want people to hear and experiences that they want people to see and feel. It truly is a magnificent sight to behold. 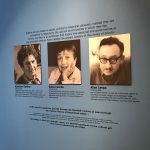 The Leepa-Rattner Museum was founded and inspired by 3 amazing artists: Abraham Rattner, Esther Gentle, and Allen Leepa. Abraham Rattner lived in the years of 1893-1978. During the 1920s, Rattner lived in Paris alongside some of the major artists that expressed 20th century art in their work. By 1940, Rattner returned to America. He soon became one of the biggest artists of his time. 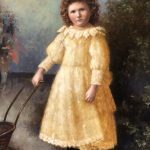 Esther Gentle was born in 1899 and died in 1991. 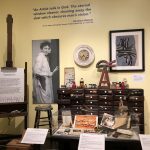 She was Abraham Rattner’s second wife and was well known for her sculpting and printmaking skills. She also gave many female artists the chance to show their skills and opened doors to futures that they never would have experienced without her help. Allen Leepa lived during the years of 1919-2009 and was the son of Esther Gentle. He was widely known as an abstract expressionist painter and a major art critic. During his younger years, he studied at Columbia University, and taught young students art at Michigan State University. This was the beginning of his art career. The sculptures that are displayed at the museum stand out more than anything else in the museum. 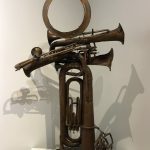 From a complex pile of warped and rusted brass instruments to a tower of intertwined clay squares that reach from the floor all the way up to the ceiling, it is something I have not seen at any other museum. Each sculpture shows a variety of emotions and passion. Each tells a story or a memory, and each serves a purpose that is beyond what the naked eye can see. 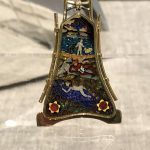 The small detail and meaning behind them is what makes you appreciate them more and see the deeper meaning to these interesting pieces of art. There are many different styles of paintings for show in the museum. Watercolor, acrylic, oil, you name it, it’s there. 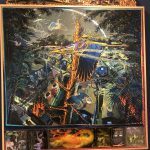 Each painting is vastly different from each other. Multiple styles highlight each room and colors explode from the canvas. 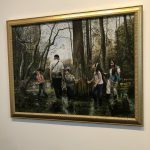 I even came across some paintings that I thought were just simple framed pictures that someone took of their family in the woods, but the deeper I looked into it, the more I realized that it was the most realistic, detailed painting I ever saw. Now I’m not much of an art critic, but I have to say that picture looked more realistic than a picture I would have taken with my camera. And I have an expensive camera. 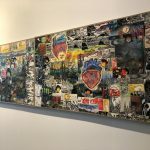 Each painting portrays personal tales from the painter, and some tell the inspiration for them to paint what they did and why they did it that way. 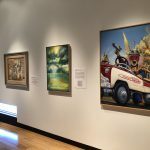 There are many stories to be seen and many people to learn about through the paintings and artistic masterpieces in the Leepa-Rattner Museum.